It was gonna be either terrible or great. 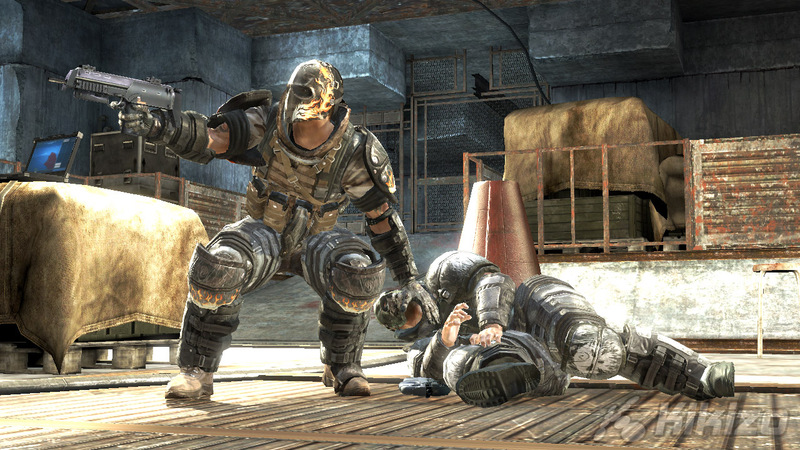 The gameplay in Army of Two will draw comparisons with Gears of War, and in some ways Epic's is the better game. 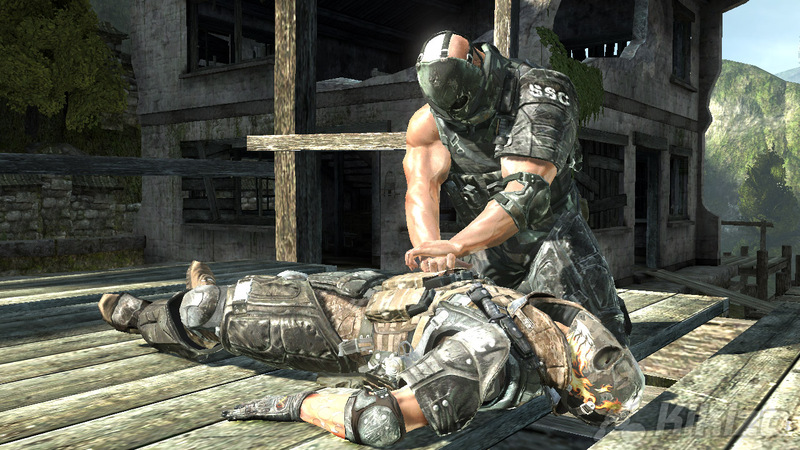 But the AI in Army of Two kills it. Whereas Dom would often blunder into the worst situations I could rely on Salem - I played mostly as the bulky, scarred Rios - to revive me if I was downed and to provide spot-on cover and offensive assistance whenever I requested it - even in the heat of boss battles. EA may have aimed for online play but when the co-op AI is this good, not having friends to call on is no barrier to entry. Having such a capable partner along for the ride helps greatly, because so much of the game depends on how you and your significant other interact. 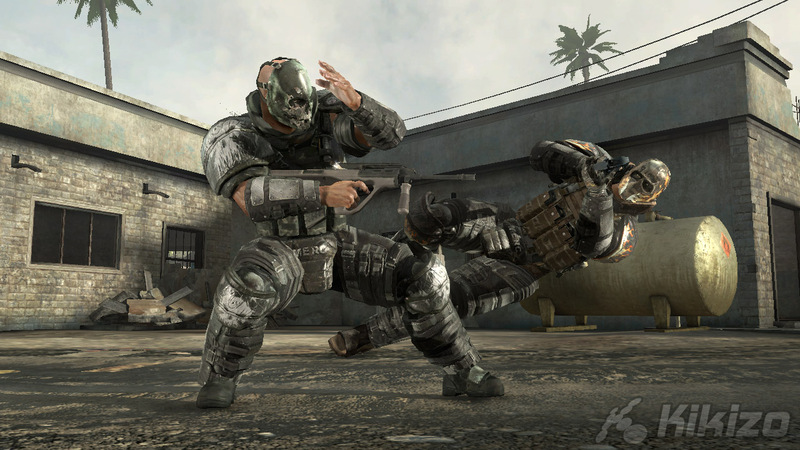 There are co-operative sniping sections, where you take out targets simultaneously, and the occasional back-to-back sections, when time slows down as you whirl around, killing attackers with abandon in a near-god-mode. Cash, as I mentioned before, is the heart of this game, and earning it during the game has fruitful consequences. 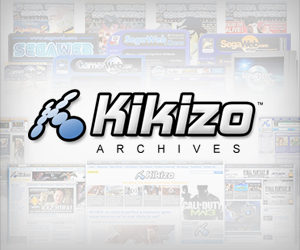 There's a wonderful armoury of weapons to rifle through, and most of them are customizable, allowing you to take, say, a trusty AK-47 and turn it into a powerhouse of a weapon, adding barrel attachments, a larger magazine, or more. Or perhaps you just want to pimp it, adding a golden veneer to its casing. Some of the offerings aren't as practical as they are cool, but I never found myself wanting more choice. The same can't be said of online play outside of the main cooperative mode. There's a two-on-two mode that adds something to the experience, but the meat and potatoes of this bloody feast are in the campaign. There are also odd design choices, such as the pointless hovercraft trips you'll take at certain points in the game. With another live player manning the gun, there's probably more to it, but I spent those few minutes glued to the GPS, making sure I made my way to the well-marked checkpoints. 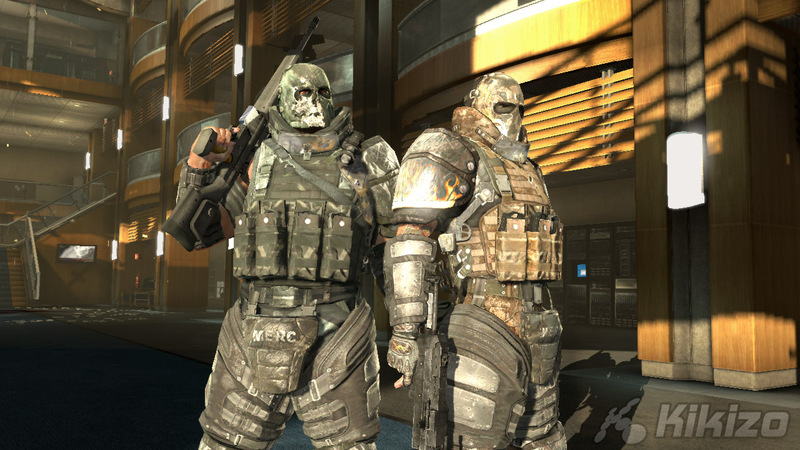 Niggles aside, I enjoyed Army of Two more than a thought I would. The characters are caustic and the pacing is uneven, but there's a fine action game here that uses the central conceit well, whether you're playing with a friend or a chip. The overarching theme could have been put to better use but even here EA Montreal has touched on something good, and I'm interested to see what the publisher can squeeze out of a second tour of duty. 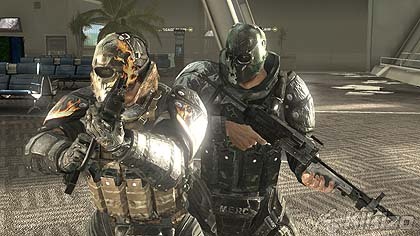 THE VERDICT: Army of Two has some important flaws when viewed as a third-person shooter but add in the co-operative play and they seem less jarring. I enjoyed what my connection allowed me to experience online and even offline the co-op play works well - something that impressed me. The sense of comraderie is palpable, and it's fun to be able to share the experience with another person. 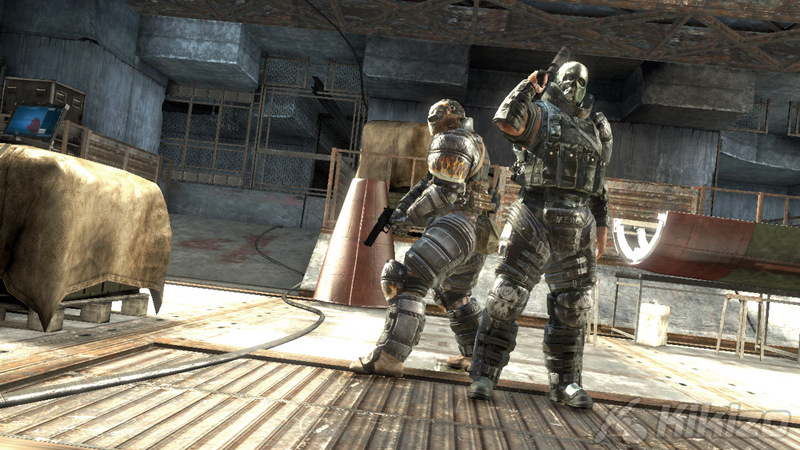 I'll be trying the game online again, maybe this time on the Xbox 360 though.